Health technology assessment (HTA) is an evaluative process used to inform technology-related policymaking in healthcare. Interest in involving patients in the HTA process is increasing. Patients can provide additional perspectives to those of other groups that are concerned with health technology. Information on patients’ perspectives is preferably obtained through reviews of published studies. Primary research approaches can be used if good quality, published evidence is unavailable. There are good examples of input from patients influencing the scope or preparation of HTA reports and subsequent consideration of these reports by decision-makers. One challenge to achieving effective patient involvement is finding suitable resources for patient organizations and HTA agencies. There is also a need for the further development of methods, for example, for use in rapid evidence reviews. HTA programs and the decision-makers they inform have to make choices about when patient input is appropriate. Such choices will include considering which questions or aspects of a technology requires such input and the expected time lines for assessment. Hailey D, Babidge W, Cameron A, Davignon L-A. HTA agencies and decision makers. An INAHTA guidance document. Stockholm: INAHTA; 2010. Hailey D, Nordwall M. Survey on the involvement of consumers in health technology assessment programs. Int J Technol Assess Health Care. 2006;22(4):497-499. doi:10.1017/ s0266462306051427. Hailey D. Consumer involvement in Health Technology Assessment. Edmonton: Alberta Heritage Foundation for Medical Research, HTA Initiatives #21; December 2005. http://www.ihe.ca/advanced-search/consumer-involvement-in-health-technology-assessment. Facey K, Boivin A, Gracia J, et al. Patients’ perspectives in health technology assessment: a route to robust evidence and fair deliberation. Int J Technol Assess Health Care. 2010;26(3):334- 340. doi:10.1017/s0266462310000395. Hailey D, Werko S, Bakri R, et al. Involvement of consumers in health technology assessment activities by Inahta agencies. Int J Technol Assess Health Care. 2013;29(1):79-83. doi:10.1017/ s026646231200075x. Facey KM, Hansen HP, Single ANV, editors. Patient Involvement in HTA. Singapore: Springer; 2017. doi: 10.1007/978-981-10-4068-9. Facey K. Health technology assessment and patient involvement. In: Facey KM, Hansen HP, Single ANV, eds. Patient Involvement in HTA. Singapore: Springer; 2017. doi: 10.1007/978-981-10-4068-9_1. Muhlbacher AC, Juhnke C. [Involving patients, the insured and the general public in healthcare decision making]. Z Evid Fortbild Qual Gesundhwes. 2016;110-111:36-44. doi:10.1016/j.zefq.2015.12.001. Facey K, Single A. Patient input to HTA. In: Facey KM, Hansen HP, Single ANV, eds. Patient Involvement in HTA. Singapore: Springer; 2017. doi: 10.1007/978-981-10-4068-9_6. Haefner S, Danner M. Patient involvement in German HTA and policy-making institutions: incorporating patients’ individual and collective experiences. In: Facey KM, Hansen HP, Single ANV, eds. Patient Involvement in HTA. Singapore: Springer; 2017. Tarn Y-H. Patient involvement in HTA process in Taiwan. In: Facey KM, Hansen HP, Single ANV, eds. Patient Involvement in HTA. Singapore: Springer; 2017. Scottish Executive. Patient focus and public Involvement. 2001. http://www.gov.scot/Resource/Doc/158744/0043087.pdf. Lopes E, Street J, Carter D, Merlin T. Involving patients in health technology funding decisions: stakeholder perspectives on processes used in Australia. Health Expect. 2016;19(2):331- 344. doi:10.1111/hex.12356. Whitty JA, Littlejohns P. Social values and health priority setting in Australia: an analysis applied to the context of health technology assessment. Health Policy. 2015;119(2):127-136. doi:10.1016/j.healthpol.2014.09.003. Silva AS, Petramale CA, Rabelo RB, Santos VCC. Patient involvement in HTA in Brazil. In: Facey KM, Hansen HP, Single ANV, eds. Patient Involvement in HTA. Singapore: Springer; 2017. Dipankui MT, Gagnon MP, Desmartis M, et al. 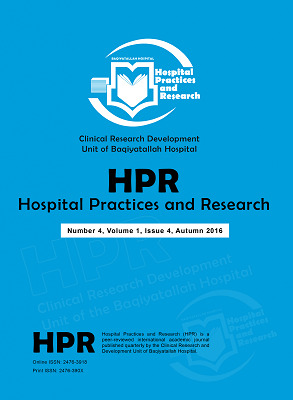 Evaluation of patient involvement in a health technology assessment. Int J Technol Assess Health Care. 2015;31(3):166-170. doi:10.1017/ s0266462315000240. Lo Scalzo A. Patients’ involvement in HTA: the AGENAS case. In: Facey KM, Hansen HP, Single ANV, eds. Patient Involvement in HTA. Singapore: Springer; 2017. Werkö S, Andersson C. Patient involvement in Swedish HTA organisations. In: Facey KM, Hansen HP, Single ANV, eds. Patient Involvement in HTA. Singapore: Springer; 2017. Hailey D. Discussion of approaches in different countries. In: Facey KM, Hansen HP, Single ANV, eds. Patient Involvement in HTA. Singapore: Springer; 2017. doi: 10.1007/978-981-10-4068-9_31.